Nidhi Gulati is a trained Architect and Urban Researcher who first joined PPS in 2013 as a Transportation Associate. In that role, she worked on more than 20 projects across the US and abroad, and delivered her first keynote speech at the Second International Forum on Public Spaces in Bogota, Columbia in 2014. She now manages the diverse transportation portfolio at PPS, helping to connect people and places by creating community resources, contributing to PPS blogs, and participating in speaking engagements. Ingrained in all her work is a commitment to better serve the most vulnerable populations in our cities and towns, including women and children. 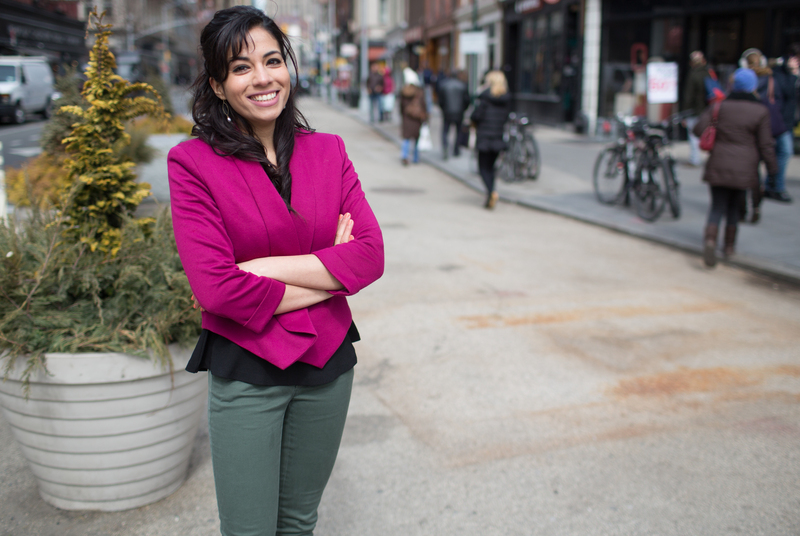 Prior to rejoining PPS, Nidhi was the Emerald Network Program Manager at LivableStreets Alliance, where she managed all aspects of the initiative to connect over 17 jurisdictions in Metro Boston with a 200-mile network of greenways. She is also a guest writer for the global publication “Child in the City,” curating a series called "City Design and Stewardship: How to Design for Engaged Children and Citizens of Tomorrow." Nidhi received her Bachelor’s degree in Architecture from Malaviya National Institute of Technology in Jaipur, Rajasthan. Her thesis tackled the simplification of circulation patterns in international airports. She graduated from Texas A&M University in 2012 with a Master’s Degree in Recreation, Park, and Tourism Sciences with a focus on place studies and community development. She is a born and raised Indian with more than usual appreciation for trains, a preference for walking as a mode of urban transportation, and a drive to inform the ongoing urban explosion in developing economies like her motherland through her work.